CORPOHASS, the Colombian association of producers and exporters of Hass avocados, organizes the WAC 2019 event. 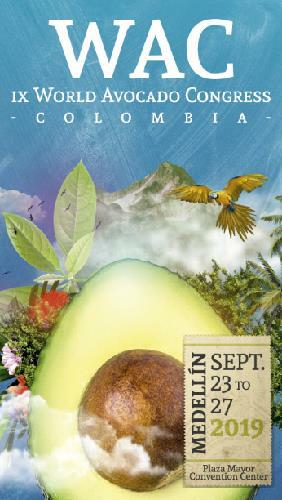 This Avocado World Congress takes place every 4 years and is held for the first time in Colombia. The WAC offers a unique opportunity for all industry professionals to expand their knowledge. This edition aims to highlight the scientific and technological aspects, discoveries and trends that influence the global avocado industry. Workshops, conferences, presentations of scientific and technological advances, discoveries of innovative methods.